In this tragic accident, on November 10, 2007, a 25 year old pilot with approximately four hundred (400) hours of flying time was flying banners along the beach in a Piper Pawnee. Plaintiff returned to the airport to drop off the banner at the designated northwest quadrant of the airport. There were two active north/south parallel runways: 36L and 36R. The air traffic controller gave the pilot an instruction to proceed downwind between the two parallel runways to land on the right runway. During the attempted landing, the aircraft crashed as the pilot performed the aerial maneuvers required of the instruction. The Plaintiff survived, but with very serious traumatic brain injury, severe cognitive and neurological deficits. He is permanently disabled. Plaintiff claimed that the instruction was a non-standard instruction and not authorized by the FAA which caused his plane to stall and crash. Defendant denied Plaintiff’s claims and liability was highly contested. Defendant blamed Plaintiff for stalling the aircraft and argued that if Plaintiff was not comfortable with the instruction he had the authority to decline it and ask for another instruction. Defendant also named Plaintiff’s employer but the jury did not assess any liability to the employer. 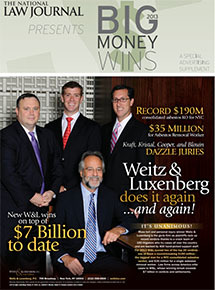 This case qualified for The National Law Journal’s “Big Money Wins of 2013” in the Top 50 settlements nationally. It was ranked #6. The Daily Business Review (DBR) ranked this case among the “Top Florida Verdicts of 2013”. It was #5. This is a class action suit against an out of state group health insurance company who decided to embark on the pattern and practice of raising its insured’s premiums when they were sick and based on other health related factors. The company did this in the hopes of making it financially impossible for the sick people who had the health plan to afford to keep the plan. Most of the people affected by this scam were near the age of 65 and Medicare eligibility. The insurance company defended the suit by saying that Florida law which protected the insureds did not apply to it because it was an out-of-state group. The lawyers at Zebersky Payne Shaw Lewenz, LLP were able to strip the company of its out of state group exemption and have Florida law apply to its pattern and practice. After obtaining this judgment from the court, the parties settled with the company and agreed to reimburse all persons for the extra premiums that they paid, to provide people who could not afford the premium increases with an insurance policy with reasonable premiums and to reimburse insureds’ out-of-pocket losses. Richmond Manor v. Certain Underwriters at Lloyds – This was a multifaceted class action where the class asserted that all of the Lloyd’s syndicates that wrote property insurance in the State of Florida failed to adequately notify their policyholders of the use of an extremely large hurricane deductible which was applied during the many hurricanes that struck Florida in 2004-2005. After prolonged litigation Zebersky Payne Shaw Lewenz, LLP was able to secure a settlement for the entire class which entitled some class members to as much as $500,000.00 in damages. Zebersky Payne Shaw Lewenz, LLP was also able to resolve a similar class action against PHLD v. Arch Specialty Insurance Company for a total of $22.5 Million Dollars where some class members were entitled to as much as $700,000.00. $22.5 MM Class Action Settlement: PHLD v. Arch Specialty Insurance Company. In this class action the defendant, a surplus lines insurance company, failed to properly follow Florida law invalidating several clauses in the policy that permitted the insurance company to shortchange business owners who submitted hurricane claims. Zebersky Payne Shaw Lewenz, LLP was able to settle these claims with each client being able to obtain the monies that were wrongfully withheld. Some class members were entitled to as much as $700,000.00 for their claims. Our client, Robert, was accidently shot by his cousin in his grandmother’s house. The grandmother’s homeowners insurance company refused to defend and/or pay for the claim asserted by Robert. An $18.5 million judgment was rendered against Robert’s grandmother. The grandmother assigned her right to sue her insurance company and others who were responsible to provide insurance coverage to our client. The insurance company did not pay because it claimed that the insurance policy lapsed when it did not receive a premium payment. These payments should have been made by the bank that held the grandmother’s mortgage through an escrow account. The bank received notice of nonpayment but did nothing and eventually the policy was cancelled. The lawyers at Zebersky Payne Shaw Lewenz, LLP brought a lawsuit against the insurance company and several banks that were involved with the mortgage. Ultimately, we were able to procure a confidential settlement which included a bad faith recovery from the insurance company for our client and his family. After a four-week jury trial in Miami-Dade County, Edward H. Zebersky of Zebersky Payne Shaw Lewenz, LLP, along with Stuart Ratzan and Stuart Weissman of the Ratzan Law Group, secured a $17.5 Million verdict against big tobacco’s R.J. Reynolds Tobacco Company and Phillip Morris USA. The lawsuit, The Estate of Irene Gloger v. R.J. Reynolds et al., which alleged gross negligence, fraudulent concealment, strict liability, and civil conspiracy, sought damages for a victim of tobacco’s once intentionally hidden dangers. The verdict, which included $10,000,000.00 in punitive damages, was the culmination of a seven year battle. “We’re thrilled to have been able to bring some closure to the Gloger family. We hope that this verdict will deter all industries from violating the most basic produce safety rule: do not manufacture and mass market a product that causes harm. This verdict also speaks volumes that violation of this basic rule will not be tolerated by the South Florida community” said Edward H. Zebersky of Zebersky Payne Shaw Lewenz, LLP. This lawsuit was the result of the groundbreaking “Engle” class action, which helped uncover a 45 year old conspiracy between the tobacco industry to hide not only the harmful effects of smoking, but also that “nicotine” the drug in cigarettes, is addictive. “It is simply unbelievable to listen to the evidence showing how the tobacco companies hatched a conspiracy to lie to the American public to keep them smoking; and resulting in the death of one in two daily smokers,” said Zebersky. insurance company for our client and his family. This class action arose out of the insurance company’s arbitrary reduction of payments for benefits incurred by victims of automobile accidents under their personal injury protection insurance. The lawyers at Zebersky Payne Shaw Lewenz, LLP were able to settle this claim whereby doctors and insureds were able to obtain all of the benefits that they were entitled to for treatment which resulted from injuries sustained in an automobile collision. Joseph v. Nationwide – Zebersky Payne Shaw Lewenz, LLP obtained an $11 Million settlement of a class action based on Nationwide’s failure to adequately pay insurance benefits to health care providers. This case involved Nationwide’s wrongful use of a PPO network to reduce the amounts paid to health care providers. Additionally, this case also resolved Nationwide’s use of a faulty database to determine the reasonable and customary benefit payments to the health care providers. This settlement represents approximately 100% of the potential damages awardable under this claim. After a three-day jury trial, Zebersky Payne Shaw Lewenz, LLP’s Ed Zebersky and Steffani Russo obtained a $5 Million Dollar Jury Verdict on behalf of the family of a young girl who passed away in a tragic accident. The Plaintiffs were the family of a 21-year-old college student, who was one of three passengers in a car making a left turn onto Okeechobee Blvd when it was suddenly struck by an Okeechobee Sheriff’s Deputy who was speeding without using his emergency lights or sirens. The impact killed two of the girls, including the Plaintiffs’ daughter, and severely injured the third. The Plaintiffs immigrated to the United States from Mexico, and have lived in Okeechobee, Florida since 1981. The verdict comes after a long-fought battle that included an appeal to the United States Supreme Court, and embodies Ed Zebersky’s core beliefs: Trial by jury results in justice and accountability; it also brings closure to those whose lives have been shattered. Zebersky Payne Shaw Lewenz, LLP represented a woman who suffered a disabling stroke which was caused by a popular birth control device. After protracted litigation against the manufacturer, the matter was settled. In this class action suit, the insurance company was reducing the amounts that it was paying for damage done to a person’s car in a car wreck for something called a betterment. The lawyers at Zebersky Payne Shaw Lewenz, LLP were able to bring a lawsuit claiming that this betterment charge was not permitted under Florida law and/or the insurance policy. Watergate v. QBE Insurance Co. – Zebersky Payne Shaw Lewenz, LLP assisted the client in obtaining a $2.8 Million appraisal award for damages arising from Hurricane Wilma. During this claim legal action was required in order to dispense with the insurance company’s many coverage defenses to the claim. In the end, the neutral appraiser was convinced that all of the damages claimed by Watergate, a 25 plus year old community were a direct result of the hurricane and compensable under the policy. In this interesting case, the lawyers at Zebersky Payne Shaw Lewenz, LLP were able to convince an arbitration panel to certify a class in arbitration. This may have been the first class action certified in arbitration in the State of Florida. Ultimately, the lawyers at Zebersky Payne Shaw Lewenz, LLP were able to obtain a multi-million dollar judgment against an insurance company for its failure to follow Florida law with respect to the payment of interest on late paid personal injury protection benefits. Unfortunately, this judgment might have been the straw that broke the camel’s back and the insurance company was taken over by the State of Florida shortly after the award was confirmed. After Zebersky Payne Shaw Lewenz, LLP’s commercial real estate client tried for over eight (8) years to sell 7.5 acres of its Pompano Beach church property, Zebersky Payne Shaw Lewenz, LLP’s real estate team successfully closed the deal for $2,025,000.00 in July, 2013. The property was purchased by one of America’s largest home builders who expects to add affordable townhouse units which will also improve the property values in the area. Zebersky Payne Shaw Lewenz, LLP also assisted the client with leasing another portion of the church’s property which consisted of lease negotiations, drafting and revising the lease agreement, and performing a comprehensive search on the proposed tenant(s) and any guarantor(s) to the Lease Agreement. Zebersky & Payne is now assisting the client with screening prospective buyers for the purchase of another portion of the church’s property. This class action suit against Allstate was based on the defendant’s failure to properly pay personal injury protection benefits. It resulted in an award of 100 cents on the dollar plus interest for persons affected. The lawyers at Zebersky Payne Shaw Lewenz, LLP represented a young father who was thrown against a post in a people mover at the Orlando International Airport that stopped midway from the terminal to the gates. We were able to prove that the computer system guiding the people mover malfunctioned causing the sudden stop. The Plaintiff sustained a back and neck injury and underwent two surgeries. Zebersky Payne Shaw Lewenz, LLP represented a child who was born with a condition that went undiagnosed for several months that resulted in the child losing part of his intestines. The physicians and health care facilities involved did not have adequate insurance, but a settlement in excess of the policy limits was reached. Zebersky Payne Shaw Lewenz, LLP represented a man who was traveling on a motorcycle that was hit by a van. The man suffered a severe leg fracture that required several surgeries on his leg and knee. Prior to trial Zebersky Payne Shaw Lewenz, LLP was able to obtain this settlement for their client without the need to go to a jury. The Plaintiff suffered an injury when his motorcycle was struck by a car. The car had a minimal insurance policy, but Zebersky Payne Shaw Lewenz, LLP claimed that the accident was in part caused by plants that were put in the median which obstructed the drivers view. Suit was brought against the landscape architect, the City, County and State of Florida claiming that the choice of plants for the median violated proper road landscape standards and would cause a site line obstruction once the plants were at full growth. The animation showed the jury how a difference in the height of the plants made the difference in the driver’s ability to see the motorcycle. This class action suit against Nationwide was based on the defendant’s failure to properly pay personal injury protection benefits. The affected parties received an award of 100 cents on the dollar plus interest. Zebersky Payne Shaw Lewenz, LLP represented the widow of a 50 year smoker of RJ Reynolds cigarettes claiming that the cigarette manufacturer caused her husband’s lung and esophageal cancer. Zebersky Payne Shaw Lewenz, LLP obtained a $1 Million award on behalf of a pedestrian who was struck as he was crossing the street. The lawyers at Zebersky Payne Shaw Lewenz, LLP represented a man who had a total hip replacement using a defective medical device requiring removal of the prosthetic hip and reconstruction. We were able to get this extraordinary settlement by proving that our client’s injuries were going to affect him for the rest of his life and would limit the types of jobs he could perform. After a four-day jury trial, Jordan A. Shaw, Esq. of Zebersky Payne Shaw Lewenz, LLP and Jon Jacobson, Esq. of Jacobson Law, P.A. secured a jury verdict on behalf of their Clients, William and Jessie Soffin. The jury found for the Soffins on “Count 1 – Negligent Misrepresentation” against Clean Coal Technologies Inc., its former CEO, Douglas Hague, and its former Director of Investor Relations, C.J. Douglas, and awarded the Soffins $405,153.36. The jury also found for the Soffins on “Count 2 – Fraud” against Douglas Hague and C.J. Douglas, awarding the Soffins another $405,153.36, jointly and severally between the two Defendants. The lawsuit, styled Soffin v. Clean Coal Technologies, Inc. et al. Case No. 50-2010-CA-028706, alleged that Clean Coal Technologies, Inc. along with Douglas Hague, and C.J. Douglas, committed fraud and negligent misrepresentations, causing financial injury to the Plaintiffs. 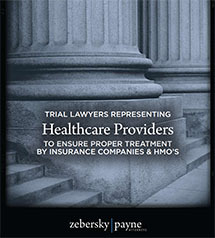 Zebersky Payne Shaw Lewenz, LLP represented a diabetic woman that fell while going up a ramp. The ramp did not have handrails which caused the client to fall several feet breaking her ankle. Unfortunately for the client the wound did not heal requiring a below the knee amputation. Through the use of a design and construction expert, we were able to prove that the ramp was not designed to building codes. The case was settled before trial. A marine hook was used to tow a jet ski from a boat which failed, sending part of the hook back towards the boat striking our client’s forearm. Suit was brought against the distributor of the hook which was made in China. Through metrological testing Zebersky Payne Shaw Lewenz, LLP was able to show that during the manufacturing process the hook was not properly cooled causing the steel to be porous and not able to withstand a normal load. Our client suffered considerable damage as a result of a hurricane. When its insurance company did not treat the church fairly, it turned to the lawyers at Zebersky Payne Shaw Lewenz, LLP for help. 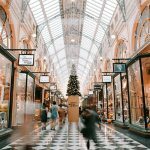 The lawyers at Zebersky Payne Shaw Lewenz, LLP were able to minimize the coinsurance penalty which was being applied to the claim and convince the insurance company that the church’s claim was worth a lot more than the insurance company was willing to pay. Our client claimed that a hurricane caused severe structural damage to its building. Citizens claimed that the hurricane caused no damage. The lawyers at Zebersky Payne Shaw Lewenz, LLP were able to convince a neutral appraiser during the appraisal process that the entire structure of our client’s building was rendered unsafe from a phenomenon called “uplift.” The lawyers at Zebersky Payne Shaw Lewenz, LLP also used sophisticated meteorological and engineering experts to establish that, even though the hurricane did not cause much damage to buildings surrounding that of our client, the motel’s location along the channel combined with the motel’s type of roof caused the damage. In this tragic case, two people were killed as a result of an automobile collision. The driver of one of the vehicles was a migrant farm worker who was driving a van with a license plate for one of his employer’s vehicles. The lawyers at Zebersky Payne Shaw Lewenz, LLP brought suit against the owner of van and the employer based on negligence. The owner of the van had a New Jersey insurance policy with $100,000 in coverage and the employer had a policy for another $300,000. The employer claimed that the driver was not operating the van during normal business hours and did not have permission to use the license plate. The employee did not deny these facts but was unable to convince a judge that the owner and the employer should be responsible for the injuries. At mediation, the lawyers at Zebersky Payne Shaw Lewenz, LLP were able to convince the insurance companies that their respective insureds not only had insurance coverage for these incidents, but the insurance companies’ failure to promptly pay the insurance policy proceeds was bad faith. Accordingly, this case was resolved shortly after mediation. A 17 year old boy was killed after he was served drinks at a local bar. The bar claimed that the boy had a fake ID and should not be able to collect for his own negligence. Zebersky Payne Shaw Lewenz, LLP was able to prove that the bouncer knew or should have known that the boy was a teenager and should not have permitted him in the bar or permitted alcohol to be served. A husband and wife were vacationing in a Jamaica all inclusive hotel. One night the wife decided to take a walk on the beach when she was accosted by two men, both of whom wore uniforms from the hotel. The lawyers at Zebersky Payne Shaw Lewenz, LLP were able to bring and keep this suit in a Florida Court and eventually the case was resolved to the satisfaction of our client. Zebersky Payne Shaw Lewenz, LLP represented a woman who had her bowel nicked during a routine surgery. Unfortunately, this woman’s doctors did not diagnose a disease called peritonitis which is a direct result of a nicked bowel, which caused our client to undergo numerous surgeries to repair her organs and intestines. 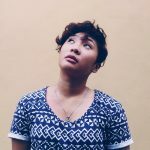 We were fortunate to ensure that the client will have all of her future medical bills paid as well as ensuring that she will have sufficient monies to take care of her in case she can no longer work. One early morning in January of 2012, an intoxicated racecar driver, who was out socializing with friends in South Beach, was driving north on Collins Avenue in Miami Beach. The victim, who had just gotten off of work, was on the sidewalk loading his bicycle into the back of a car parked in a loading zone. The driver suddenly lost control of his SUV, jumped the curb onto the sidewalk, struck and instantly killed the victim. The driver, an underage drinker, was charged criminally with DUI Manslaughter and Vehicular Homicide. Zebersky Payne Shaw Lewenz, LLP brought a wrongful death action against the driver on behalf of the decedent’s Personal Representative and the Estate.